John Pollock & Mike Bohn from USA Today and MMA Junkie chat about Golden Boy MMA's first card featuring Chuck Liddell fighting Tito Ortiz. 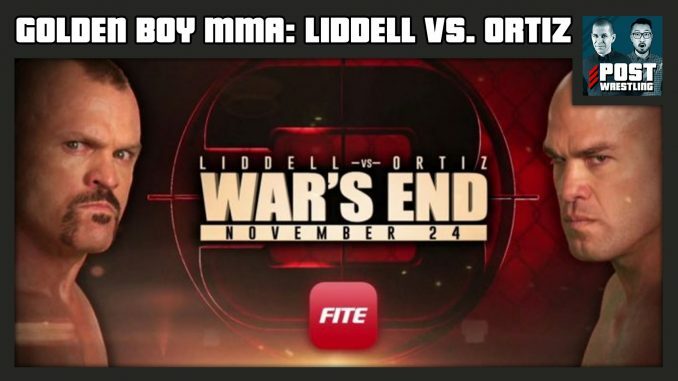 John Pollock is joined by Mike Bohn from MMA Junkie and USA Today to discuss the first MMA event promoted by Golden Boy Promotions that featured the third (and final) fight between former UFC light heavyweight champions Chuck Liddell and Tito Ortiz. Pollock and Bohn chat about the main event, the sad nature of the fight, the future of Golden Boy MMA, how this promotion can continue, the production of the first broadcast, a rundown of the undercard results, and predictions on how this performed on pay-per-view.